Assignment: Make a poster showing how dreams die. Assignment: Make a poster showing how dreams come alive. Assignment: Research Jessica Cox online. What are her accomplishments other than aviation? Assignment: Research the airports in your area using the instructions presented in the video. Assignment: Make sure you took good notes. You are going to need them. If you did not get all the names and dates down review the video and put them in your notes. Assignment: Research online to find the first ever film made from an airplane. It was in a Wright Brothers airplane. Assignment: Research the International Space Station. How fast is it going? How many sunrises and sunsets do they see a day? How far is the space station from earth? How many and what countries are involved with the International Space Station? Assignment: Begin researching the future of flight to include on your timeline. Be sure you find some pictures of futuristic airplanes as well as the information showing the direction aeronautical engineers are going with flight! Assignment: IF YOU NEED MORE TIME ON YOUR TIMELINE – TAKE EXTRA DAYS. MAKE THIS PROJECT SOMETHING YOU ARE PROUD OF. EMAIL ME A PICTURE OF YOU TIMELINE! IF YOU FINISHED YOUR TIMELINE, LOOK IT OVER AND DECIDE IF THERE IS MORE INFORMATION YOU WOULD LIKE TO INCLUDE OR MORE YOU CAN DO TO MAKE IT SOMETHING YOU ARE PROUD OF. IF SO, YOU HAVE TIME. MAKE IT SOMETHING YOU WANT TO DISPLAY FOR OTHERS TO SEE! Assignment: Look up and define the Kutta-Joukowski Lift Theorem. Assignment: Terry mentioned several airplanes. Look up pictures for the following airplanes and try to see the differences and similarities in each: Cessna 170, Cessna 180 Cessna 185, Super Cub, Mooney, RV-7. Find out how fast each of these fly. Assignment: Be sure to review any you miss! Use the correct link to assist in downloading and mounting the flight simulator software. Assignment: Attempt a first takeoff if class time permits. Make sure you view your local map after each pattern to see how good of a rectangle you make. Assignment: Practice flying with failed systems according to the instructions given in the video. Make sure you took good notes when this was explained. If you did not, replay the last part of the video and write down notes for setting up the simulator. Assignment: As you are going through this class pause the video when told to and attempt to find the coordinates given in the instructional video on your own anchorage sectional. Research the different types of jobs in the weather service. There are more than you think. Start by visiting www.noaa.gov. Spend at least 10 minutes looking the wide variety of information on this web site. Next, type ‘career opportunities” in the search engine at the top right of the NOAA website. That will give you the opportunity to view a broad spectrum of weather related careers. Select a couple of them to learn more about. This should take about 10 – 15 minutes. Also note that the circles are color coded. Try to determine what the different colors mean. Using your Juneau Sectional, plot and fly your first cross country flight from Tanis Mesa to Yakutat. Before you takeoff calculate your heading and write it down on a piece of paper. Take notes as I show you how to complete the cross-country flight on the flight simulator and then fly the course yourself, OR follow along on your own flight simulator along with the instructional video. Use your Juneau Sectional to follow yourself along on the map as you fly the course from Hoonah to Juneau. Make sure you circle you checkpoints along your route of flight before takeoff! 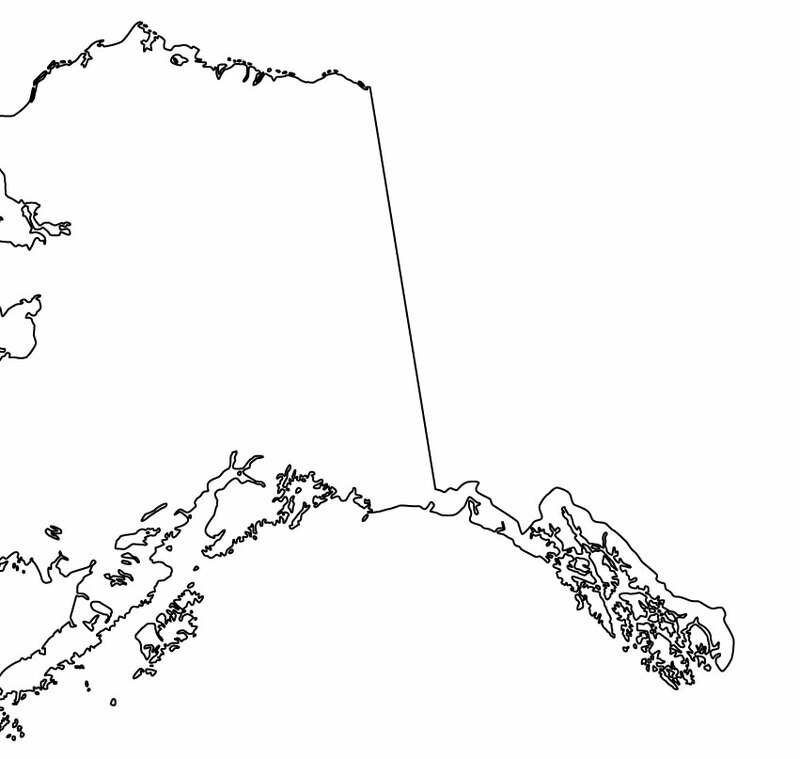 Find the correct heading from Wrangell to Petersburg on the Juneau Sectional. 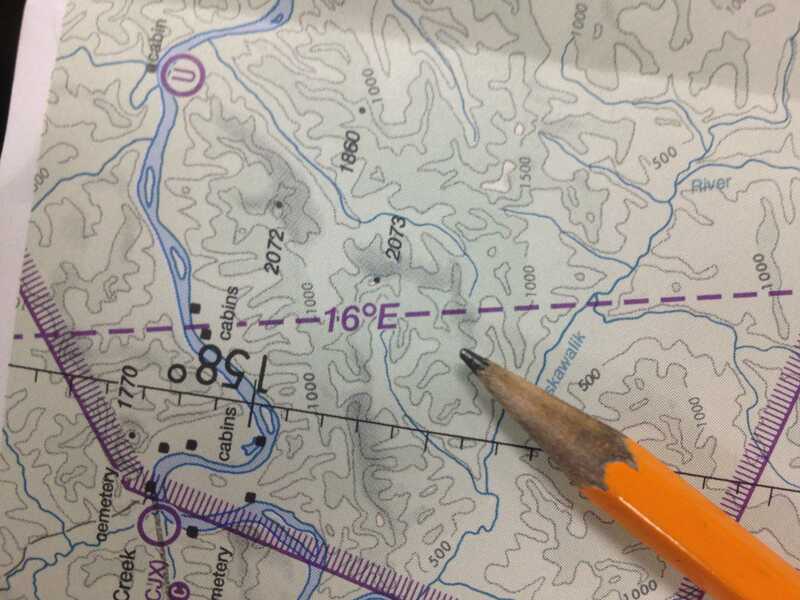 Fly the heading that you plotted and use the checkpoints that you can see on your Sectional Chart as reference to where your aircraft is on the map. Find the heading and checkpoints that you will be using on a flight from Kodiak to Larsen Bay on the WAC Chart. Make sure that you fly at the correct altitude for this flight using the “East Odd, West Even” saying. Complete the flight from Kodiak to Larsen Bay on the flight simulator and make sure you keep your WAC Chart with you so that you don’t get lost! Plot a flight from Chenega Bay to Seward. You need to find a heading, the distance, the correct altitude to fly at, and checkpoints to use along the route of flight before you get to the flight simulator. At 2 minutes 03 seconds into the video I said East is Least, West is Best. Although we use that saying to help us find our heading I did make a mistake. I meant to say East is Odd, West is Even. If you caught that good for you! Begin learning how to fill out the navigation log for a flight from Soldotna to Quatrz Creek then on to Seward. Set up the weather as directed in the instructional video. Begin the flight if you have enough time remaining in the class. You can pause and save your flight when you run out of time and then load it up the following day. Assignment: Finish the saved flight from the previous class from Soldotna to Quartz Creek then on to Seward. The glacier pilot pioneer was Bob Reeve. There are a lot of articles online about him. Read one of the articles to better understand the challenges of this unique flying. Following that, watch a video of modern Denali Glacier tours. There are quite a few short video clips to enjoy. The beauty is unbelievable. Complete one attempt at landing then watch the rest of the video clip. Attempt a takeoff in each direction and see the difference in time when you do a takeoff into the wind vs a takeoff out of the wind. Load up the L5 airplane with the same wind speed and direction. Choose any of the L5 airplanes that shows up in your flight simulator. Notice the difference between the nose wheel airplane and the tailwheel airplane. Preform a takeoff in both directions on this runway. If you have time try a cross wind pattern with the L5. Enjoy your flight from Juneau to Haines! Be sure to check out the scenery along this route. Read at least two aviation accident reports to better understand the job of the NTSB. Perhaps this is a career you would like to pursue. Today I hope you had the joy of catching the instructor in a mistake! In calculating the time for the flight he set the E6B to 105mph instead of 115mph. That gave the wrong time for the flight. The correct time should be between 21 and 22 minutes!!!!! Enjoy your flight from Tatitlik to Smith Airport today. (And keep an eye on that instructor – he makes mistakes sometimes! Set the cloud layer to overcast between 1000’ and 3000’ as shown in the lesson. Make sure that you fly at a speed of 115, and at an altitude of 3000’. Make sure you don’t forget to start your time before you takeoff. Fill out your navigation log as you go through the video lesson. Pause the video when needed. 1) Continue filling out the navigation log from the previous lesson. 2) when finished with the navigation log begin the flight if class time permits. If there isn’t enough time remaining to start the flight, then wait until the next class to begin the flight simulator flight. 4) Begin the flight and make sure that you start your clock when you takeoff. 5) When class time runs out make sure you save your flight by clicking on the “file” tab and selecting “save situation”. Then title your flight. The flight will be finished the following class day. Go to www.faa.gov. Click on the “Jobs” tab. Read about the available careers with the FAA. Use you WAC chart to find Nenana. Set up your navigation radio to the correct frequency. Draw a line through the VOR on the 060 degree radial. Take off and fly for at least 20 miles trying to keep the VOR needle centered on the 060 degree radial. Start with your airplane at Fairbanks. Set up your radios for Nenana. Track the 225 degree radial from Fairbanks to Nenana. Have fun on this flight. Remember, the Nenana airport is going to be to the left of the VOR. Locate your airplane at the Kake airport. Draw the lines on your chart as demonstrated in the video. Take off and fly 15 minutes north (o degrees and 360 degrees are both north). Once you have flown 15 minutes tune in the Biorka Island VOR and fly straight to it. Go to the following link. On the bottom right of the Home page is a link to patient testimonials. Click on that link and read at least 4 patient testimonials as they tell how important Angel Flight was to them. Locate your airplane at the Anchorage Ted Stevens International Airport. Using your VORs fly from Anchorage to Kenai. HINT: Begin your flight by flying to the Anchorage VOR then turning to your course radial. Have fun, enjoy the scenery! The ADF (Automatic Direction Finder) works off a ground based unit called an NDB (Non-Directional Beacon). The ADF points at the NDB. This is an instrument that is rapidly becoming obsolete. The FAA has begun phasing out the ADF. This instrument will eventually go the way of the dinosaur and become extinct. However, it is still available and it is a really cool instrument. Enjoy using this tool for your flight today! Begin at Shaktoolik airport. Tune your VOR to 116.3. Fly the 300 degree radial to Moses Point. Do not land at Moses point. Tune in the Koyuk NDB (Non Directional Beacon) using the frequency 299. Remember, the NDB is the ground based radio that the ADF points to. Fly to Koyuk and land. EXTRA CHALLENGE: Return to Shaktoolik using the same route. Tune in the Moses Point VOR and fly there from Koyuk. Once there, fly the reciprocal of 300 degrees to get to Shaktoolik. Remember, 300 degrees is what you flew from Shaktoolik to Moses Point. The reciprocal is determined by subtracting 180 degrees from 300 degrees. NOTE: Anytime you want to go in exactly the opposite direction, subtract or add 180 degrees to the heading you are going. Today you will use your GPS to find and land at a very difficult airport. This will challenge you. If you are not successful in your landing at BOLD airport, begin the flight again and give it another try. The ANCHORAGE to BOLD route presents some challenging mountain flying. This flight will test your skills in a variety of ways but the landing at BOLD will really stretch and stress you! If you are successful in your landing at BOLD, reset your GPS and fly to Palmer. GPS, what a wonderful navigation aid!! 9) Note which glide speed gave you the most distance overall. 1) Write down all the phonetic alphabet on a paper for reference. 2) Write out your last name using the phonetic alphabet. 3) Write down the order of the steps that you take when making a radio transmission. 4) Find Anchorage and Birchwood on the anchorage sectional. 5) Plot a course from Anchorage to Birchwood. 6) On the flight simulator set up your airplane on the Ted Stevens Anchorage Intl Airport. 7) Next on the menu select aircraft, and equipment failures. 8) Then on the right select engines and find engine failure number 1. 9) Click the down arrow on engine failure number 1 and click mean time until failure. 10) Select in the box 0060min. 11) Close the window and start your flight to Birchwood. In the lower left hand section of the screen change the “temperature at nearest airport” to -100 F below zero. Reset your clock to zero and when ready add full throttle, release breaks and start your clock all at the same time. Switch to an outside view so that you can see when exactly your wheels come off the ground. Pull back gently on the yoke and right when the main wheels come off the runway press pause, go back into the cockpit and record what time your clock displays. Complete three takeoffs at -100 degrees F and then average them out before graphing on your predicting takeoff performance graph. Complete the same for the remainder of the temperatures listed. If you have extra class time, figure out your own weights for the fuel, passenger s and cargo and calculate them to see if your CG is in the safe range and if your max weight is exceeded or not. 1) Continue completing your predicting takeoff performance graph until complete. 2) Make sure that you make an educated guess for the final flight at 100 degrees F before accomplishing the flight itself. 1) Follow along on your own plane maker as you are taken through the step by step process of changing the wing area on the vans RV 10. 2) Remember you get two days to complete this graph. You can take even longer then that if necessary. 1) Work on finishing the graph started in the previous lesson. 2) If you have extra class time you can load up a glider on the flight simulator and attempt a 3 mile final into a runway. Note how well the glider glides and how little altitude is lost even though this plane doesn’t have an engine. Remember that the great glide performance is mainly due to the high aspect ratio wing on gliders. 1) As we close out the predicting performance module, have some fun by trying to land your aircraft on an aircraft carrier. Follow the steps on the video clip to see how the set up goes and when you’ve had a couple of successful landings go ahead and add some big waves to the equation. 2) Tomorrow you will take your checkpoint quiz for the predicting performance module. Load your flight simulator aircraft at the Merrill Field (PAMR). Click on the three mile final tab. Once enough airspeed has been recovered pull the nose back up into a recovered attitude. Now to load the aircraft tail heavy. Reset the airplane to a three mile final into the Merrill Field Runway. Press pause when airplane loads. Increase the “payload weight” all the way to the right. Load the aircraft “center of gravity” all the way to the right to load the aircraft aft heavy. Attempt a safe landing at Merrill Field. You get two attempts before continuing the videos. Now load the aircraft nose heavy. Slide the “center of gravity” sliding bar all the way to the left. You get two more attempts to accomplish a safe landing with a nose heavy condition. Fly one more flight with the airplane loaded nose heavy, observing that as the airspeed decreases the effectiveness of your elevator also decreases. If you still have class time remaining you can do an experimental flight with a small general aviation airplane by loading it however you want. Make sure you observe the different ways the airplane preforms in accordance with the different ways it is loaded. For class today you will need to print out the “Weight and balance problem solver” paper. Make extra copies because we will be using these again for more problems later. Complete the first experiment by seeing how long you (or your assistant) can hold one or two heavy books in their hand with their arm extended. Time them to see how long it takes before their arm becomes too tired to hold the books up. Next have them hold the books up close to their body and time them to see how long they can hold the books in that configuration. Follow along on your own “Weight and balance problem solver “ paper as you are shown how to calculate a weight and balance problem. 1) Follow along on your own “Weight and balance problem solver” paper as you are taken through the problems. Try to accomplish the problem by yourself before you are given the answers. 1) Complete the challenge that you were given. 2) If you have extra class time, figure out your own weights for the fuel, passenger s and cargo and calculate them to see if your CG is in the safe range and if your max weight is exceeded or not. Day 111 - Final Class!